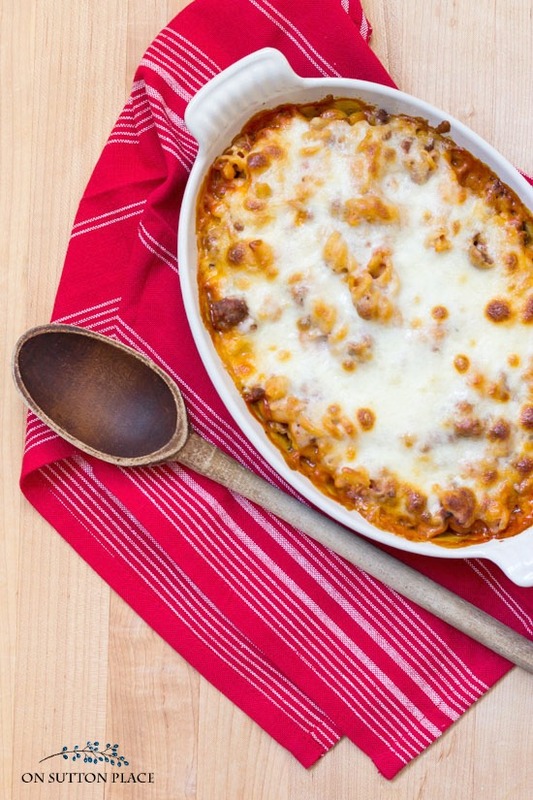 This easy baked spaghetti recipe is sure to become a family favorite! It’s kid-friendly, quick, and uses basic ingredients everyone will love. This easy baked spaghetti recipe is a Drake family favorite. I’m pretty sure most moms have their own version of this that they make on a regular basis. It’s got a lot of things going for it…it’s easy, pretty quick, hearty, usually there are leftovers and it’s relatively healthy. When my kids were home, I knew I could make this and everyone would eat it. No one complained! All I needed was this casserole with some garlic bread and we were ready to eat. 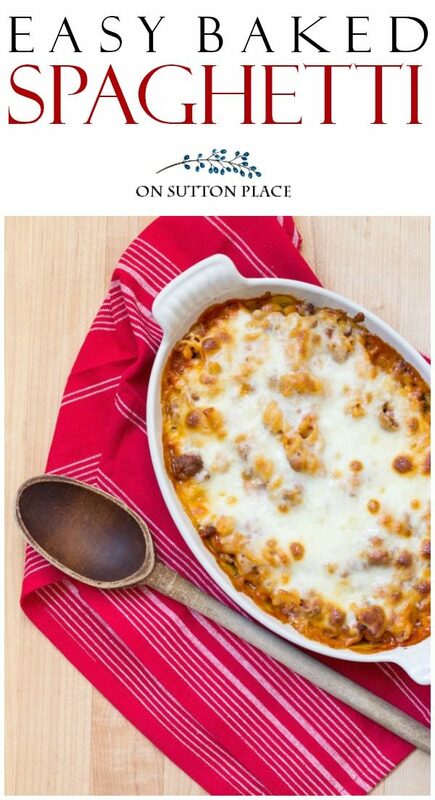 This easy baked spaghetti recipe is sure to become a family favorite! It's kid-friendly, quick, and uses basic ingredients everyone will love. In a large pot, cook the pasta according to package directions. In the same large pot, cook the ground beef until it is no longer pink. Add salt and pepper to taste. Drain or pat off any excess fat/grease. Pour the spaghetti sauce into the pot of ground beef. Stir and add chopped fresh basil if desired. A little at a time, add the cooked pasta to the sauce/beef mixture. keep it in the cooking pot. Bake for 20 - 25 minutes until bubbly around the edges. I’ve been making this dish for so long that I honestly don’t remember how I came up with it. It’s certainly not anything complicated, but sometimes those types of recipes turn out to be the best. Kids love this because there are no weird ingredients and it’s not spicey. I love using fresh basil when I have it in my garden and it’s wonderful in this easy baked spaghetti recipe. I just chop up about 6 – 8 leaves and throw it in. It adds freshness and a little color. I have, on occasion, doubled this recipe and it works well if you need to feed a crowd. A double recipe fits in a 9 x 13 pan and bakes very evenly. When I make a single recipe, I use the same pot for everything. I first cook the pasta, followed by the hamburger. I mix everything together, top with the mozzarella cheese and bake it right in that same pot. One last thing. When this is baking in the oven, it smells wonderful. It smells like mom is in the kitchen. It smells like home. To see all my favorite kitchen tools and supplies, visit the On Sutton Place Amazon Shop! Thank you for a simple, delicious recipe. I think I will try it tonight. We are in the midst of a winter storm made worse by bitter cold here in Michigan. This will be an easy, yummy supper! If you used regular Spaghetti noodles instead,would you know the similar measurements as the rotini? Thanks so much for putting your favorite recipes together and sharing them with us. Your instructions are easy to follow and all seems easy to make. Will definitely be trying some and will give you feedback on the results! Love your tips and suggestions on a variety of topics and look forward to checking my emails for a new one. Your time and effort in gathering information for us is definitely appreciated. Looks delicious! How many servings does it make? Hi Erica! It makes 6 to 8 servings depending on how large they are. Enjoy! Thinking of making this for my bunco group next week. How many do you think one recipe will serve? Ann, I love your ideas! I just printed out your recipe for Baked Spaghetti ! I have also made some of the pillows that you have given the instructions for. I am making some for my DIL’s for mother’s day this year. I am in the process of doing the idea with the black planters on either side of our front door, with the wreath on the door. Your ideas are SO classy and elegant! Love the simplicity of this dish. I usually include a small pan of this, as an additional entree, when I have company and know there will be folks looking for something gluten free, using GF pasta. Looks yummy Ann:D I’ll have to give this one a try! Btw, did you guys get snow today? We did in Amherst…can’t stand anymore of this white stuff! Lol! Love your updates and projects. You are number one gal! Keep up the suggestions and the hows tos. We all appreciate your enthusiam and am grateful for the time you give this project. This looks so delish! I have had baked spagehetti before but it did not look as good as yours. I’m going to haved to give this one a try. Thanks for sharing. This sounds delicious and so easy for a Friday night. I think I am going to make your recipe for supper tonight as it sounds delicious, easy and I have never baked spaghetti before!! Thank you! I got this recipe over 20 years ago from one of my Hospice Pts. I went home that evening and made it and from then on it was a family favorite. I just might have to make it for tonight’s meal just thinking about it makes me want some. Thanks for the recipe! Going to make it this week! Hi Ann, just signed on, and I’m loving your posts! May I offer my baked spaghetti recipe? It’s such a family favorite, my kids (when they were teenagers) friends used to ask for it! I add a little of the pasta water and a few Tbsp of butter to the sauce, because I found the sauce ‘dries out’ a bit when baked. Or simply add in that half empty jar of sauce that’s sitting in the fridge. I found one jar just isn’t quite enough… And I stir the mozzarella into the spaghetti just before baking, then cover the top with another cup of mixed mozzarella and parm mixed. Bake until bubbly, maybe 25 min. Like I said, the kids couldn’t get enough, and there weren’t ever any leftovers. These days I’m cooking gluten free, and simply have to under cook the noodles a fair amount so they don’t get too mushy, but it’s still great using rice pasta too. Thank you again Ann – love your stuff! I sometimes add the pasta water too if I get carried away adding the rotinis! Thank you for sharing! sounds good too. Thanks for the extra tips. With four kids (now grown with kids of their own), I made many easy hearty one-pot dishes. I’m having grandkids over today so I’m going to make your recipe this morning. Love, love, love it! Thanks so much. 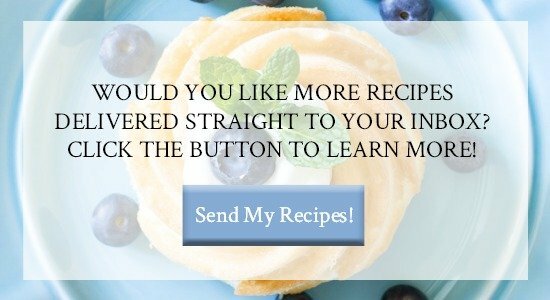 I have really enjoyed all you recipes! I hope you will continue them before long.